12/29/2018 Experience the City of Fukuoka! You have probably heard of the famous phrase “When in Rome, do as the Romans do”. As international students, it is normal to learn about the tradition and culture of the country you are currently residing in, and if possible, try it out at least. Since autumn is coming fast, perhaps you should find out more about what the locals do during this lovely season. 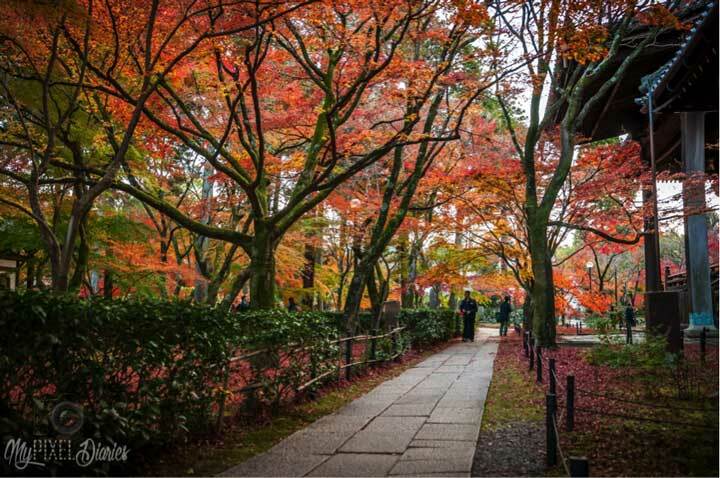 Here are three things that the Japanese people love doing during autumn. Take a look! In Japan the harvest festival is the rice harvest. None of the rice is to be eaten until a special event has happened. There are dances and a procession and a huge feast. Koshogatsu means literally “Small New Year” and starts with the first full moon of the year usually around January 15th. The main events of Koshogatsu are rites and practices praying for an ample harvest. In the autumn harvest festivals are held, and the first fruits of the paddy field are offered to the gods. In rural villages the entire community celebrates this autumn festival, and in many places floats carrying symbolic gods are paraded through the streets. At the Imperial Palace the Emperor fulfils the role of presenting offerings of new grain and produce to the gods. The Shinto rites at New Year’s were originally festivals at which people prayed for a bountiful harvest in the coming year, and the rice-planting and other paddy-field festivals that are still celebrated throughout Japan also involve prayers for a good harvest. Kimono-clad girls, their sleeves tied back with red sashes, plant the rice, while musicians perform nearby with drums, flutes, and bells. The dance traditionally associated with such festivals gradually evolved as a part of the noh theater. Yagan Orimi is a traditional harvest festival in Aguni, an island near mainland Okinawa. In recent years, have been visiting the island to see the festival, where islanders offer prayers not only for a good harvest, but, also for the safe delivery of their infants. In Japan long ago, the new autumn rice harvest could not be eaten until after a festival in honour of the rice spirit. There was dancing, singing and waving of fans. Everyone joined in a great feast. Now that day is a national holiday and it takes place on November 23. The name of the festival has also been changed it is now called Labour Thanksgiving Day. At midnight the Japanese emperor offers the first fruits of autumn at a special altar. 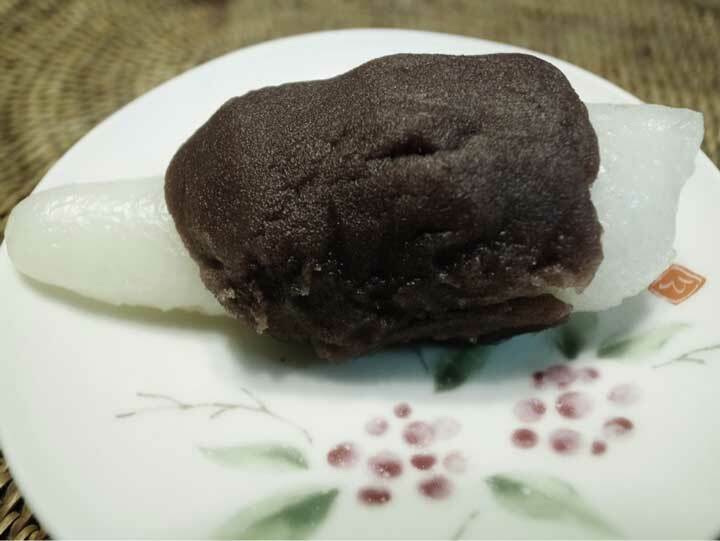 Tsukimi (moon-viewing), Tsukimi dango (rice cake) to eat while “celebrating the beauty of the moon” Tsukimi (月見) or Otsukimi, literally moon-viewing, refers to Japanese festivals honouring the autumn moon. The celebration of the full moon typically takes place on the 15th day of the eighth month of the traditional Japanese lunar calendar; the waxing moon is celebrated on the 13th day of the ninth month. These days normally fall in September and October of the modern solar calendar. 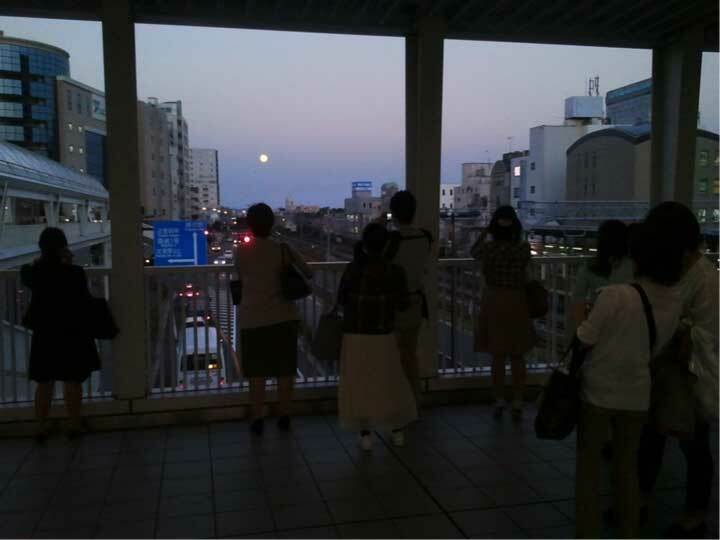 The tradition dates to the Heian era, and is now so popular in Japan that some people repeat the activities for several evenings following the appearance of the full moon during the eighth lunar month. Tsukimi traditions include displaying decorations made from Japanese pampas grass (susuki) and eating rice dumplings called Tsukimi dango in order to celebrate the beauty of the moon. Seasonal produce are also displayed as offerings to the moon. Sweet potatoes are offered to the full moon, while beans or chestnuts are offered to the waxing moon the following month. Tsukimi refers to the Japanese tradition of holding parties to view the harvest moon. The custom is thought to have originated with Japanese aristocrats during the Heian period, who would gather to recite poetry under the full moon of the eighth month of the lunar calendar, known as the “Mid-Autumn Moon.” Since ancient times, Japanese people have described the eighth lunar month (corresponding to September on the contemporary Gregorian calendar) as the best time for looking at the moon, since the relative positions of the earth, sun, and moon cause the moon to appear especially bright. On the evening of the full moon, it is traditional to gather in a place where the moon can be seen clearly, decorate the scene with Japanese pampas grass, and to serve white rice dumplings (known as Tsukimi dango), taro, edamame, chestnuts and other seasonal foods, plus sake as offerings to the moon in order to pray for an abundant harvest. In autumn, the leaves on most deciduous Japanese trees change their color to red, yellow or orange. The mountains, which I love to look at during this time of the year, are transformed by the beautiful colors of the leaves. The leaves are called, “kouyou” or “momiji”. The Japanese admire “kouyou” just as they admire cherry blossoms in spring. Their beauty has been expressed in poems and songs throughout Japanese history. The Japanese also enjoy, “momiji-gari (autumn leaf viewing)”, which is regarded as a seasonal event as important as, “hanami (cherry blossom viewing)”.